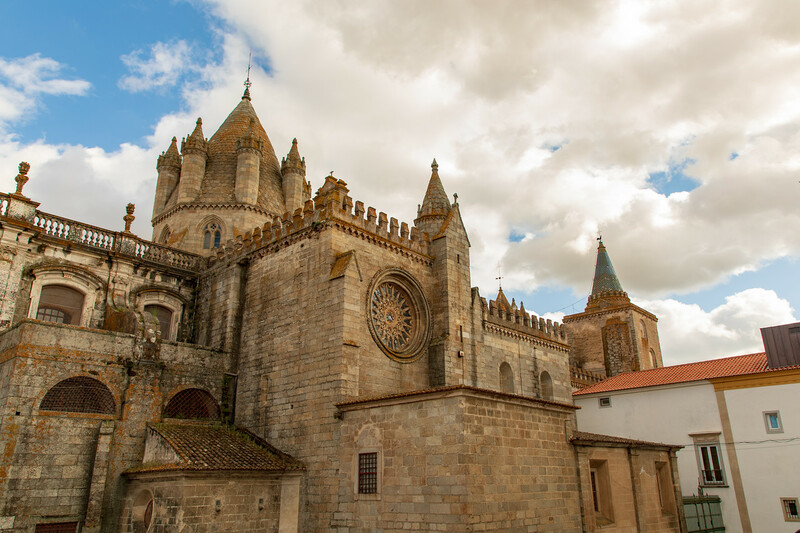 It’s our second visit to Évora, a beautiful town located in the heart of the Alentejo region in Portugal. We are actually on our way to Gibraltar to housesit for a cat. According to Google maps, Gibraltar is only a seven and a half hour drive from our home on the silver coast in Portugal, but we like to travel slow and have decided to take a couple of days to get there. 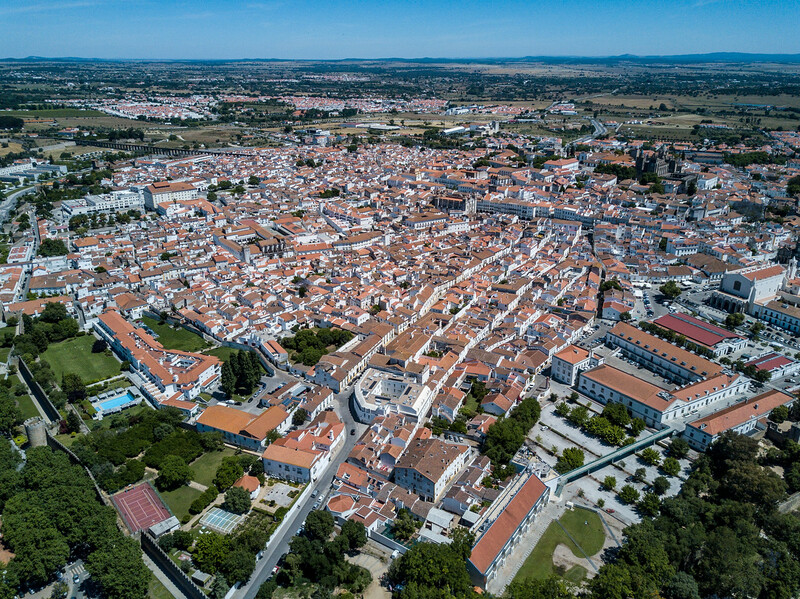 Evora, Portugal is well worth a visit. It’s a town with a long history, some excellent restaurants, and charming guesthouses. 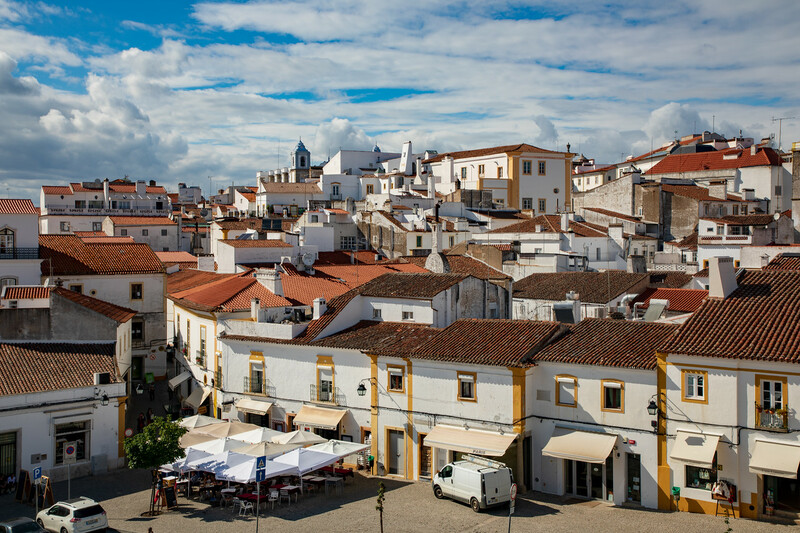 Here’s a list of some of the best places to visit in Évora. The Capela dos Ossos aka Chapel of Bones is a fascinating yet rather macabre place to visit. It is one of Evora’s most visited sites. At the entrance to the chapel, you are greeted with a Portuguese inscription that translates as, “we, the bones that are here await yours.” Well, I think that’s how it translates, my Portuguese is still a little rusty! 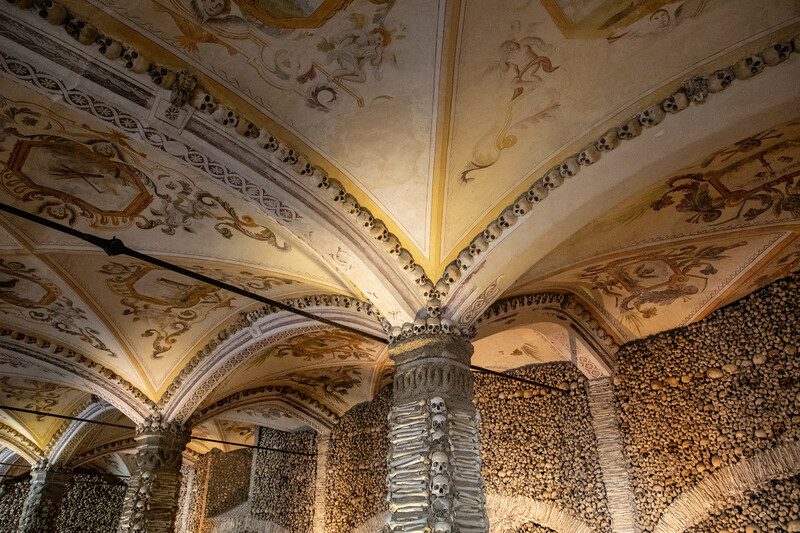 The inside of the chapel is decorated from floor to ceiling, with skulls and more than 5,000 bones. It’s weird but incredibly beautiful at the same time. But why did they do this? Well, apparently during the 16th century, the graveyards around Evora were so full that the bones were exhumed so that new bodies could be buried. The Chapel of Bones is part of the Igreja de Sao Francisco complex. It costs four euros to enter. The chapel is only small but well worth visiting, but the price of your ticket also includes a visit to the church museum and a nativity scene exhibition. Opening Hours – The Chapel of Bones is open daily except for Sunday, from 09:00 – 12:50 and 14:30 – 17:30. Open one hour longer in the summer. Evora Cathedral, located at the highest point of the town, is the largest medieval church in Portugal. For a small fee, it is possible to visit the rooftop which offers excellent views over the city or wander among the orange trees of the Gothic Cloisters but, alas, it was closed when we arrived. 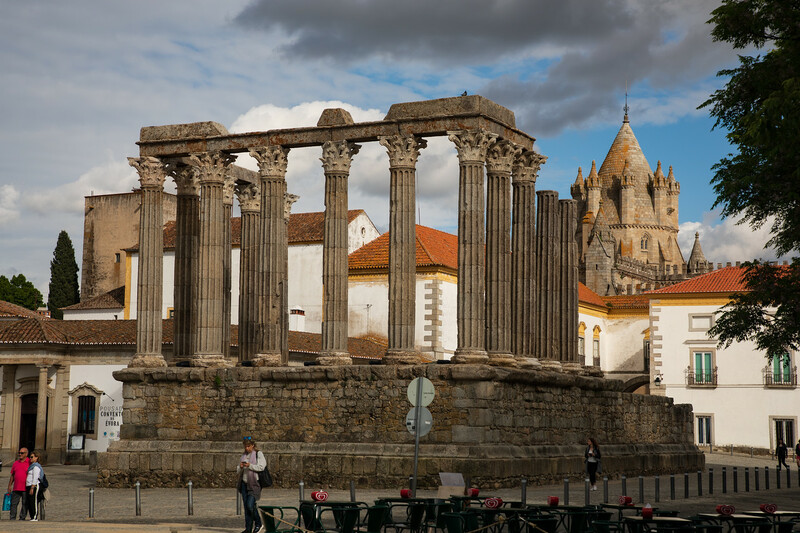 Close to the cathedral and one of Evora’s favorite sites is the Roman Temple. If you have been to Rome, you may not be that impressed, but it is the best preserved Roman building to be found on the Iberian Peninsula. It is located in a square, very close to the Evora Cathedral but you cannot actually enter the site, but you can walk around. The Jardim de Diana Gardens are located just to the north of the square, here you can relax and enjoy a coffee or beer. 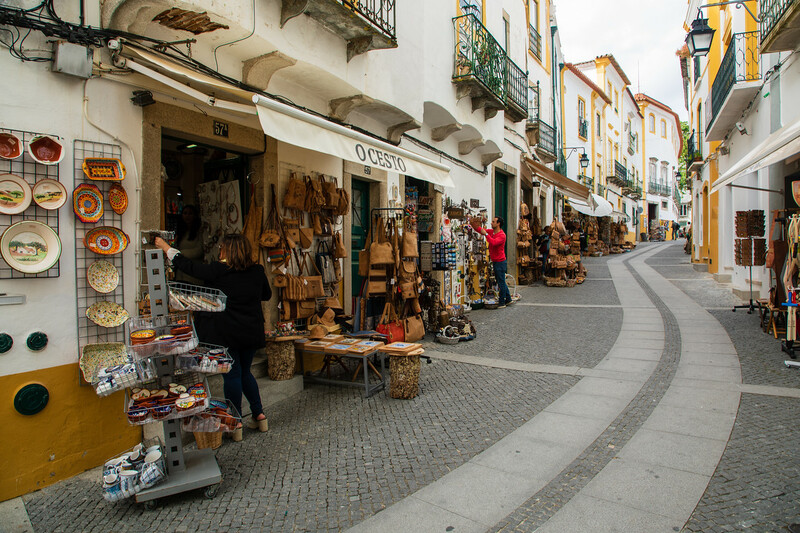 Wandering around the maze of Evora’s cobbled streets is fun. It’s a town best explored on foot. You will discover many charming photo opportunities along the way. Located in the heart of the old town is Praça do Giraldo, the town’s main square. 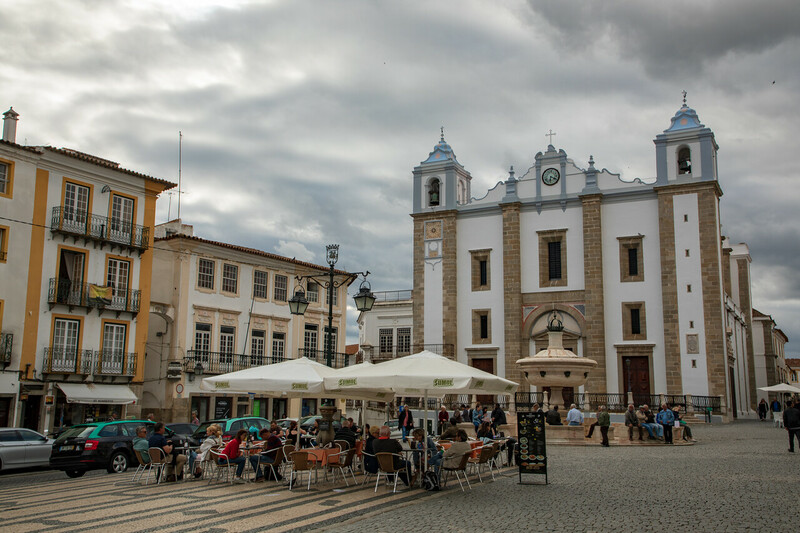 Filled with cafes and bars, Praça do Giraldo a great place to enjoy a drink and people watch. The Tourist Information Centre is located in the square and is a good source of information and has loads of free maps of the area. It’s hard to believe that this lovely square was once a significant site for the 16th century Spanish Inquisition Court. OK, admittedly we only know one. We went there on our first visit, loved it so much, we booked a table and went there on our second visit too. 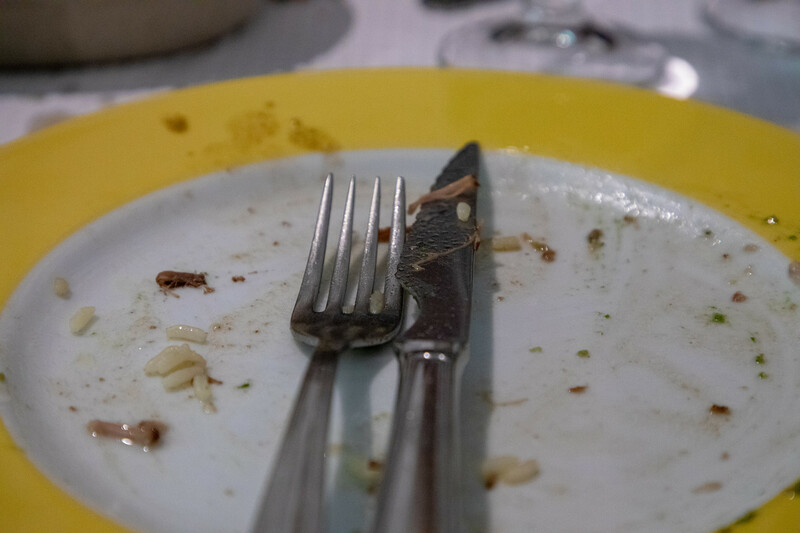 The restaurant is the Taberna Tipica Quarta Feira, located on Rua do Inverno 18. Just a short walk from the Praça do Giraldo. It’s a fixed menu of local Alentejo dishes, the only thing you get to choose is the wine. Reservations are needed, we saw several people being turned away the night we were there. It’s possible to make reservations via Facebook messenger, they respond quickly, and yes they can speak English. Cash only, no credit cards. There’s plenty of accommodation in the city. We always find ours through www.booking.com. We stayed at the Ibis Hotel. We are not huge fans of chain hotels, but it’s located right by the old city walls, has free parking, private bathrooms and around $50. If you are not travelling by car, then I would choose one of the many charming guesthouses in the old city. We drove, but it’s also easy to reach Evora, as a day trip, by train or bus from Lisbon. Both the train station and the bus station are within an easy walking distance of the historic centre. The bus station is slightly closer. 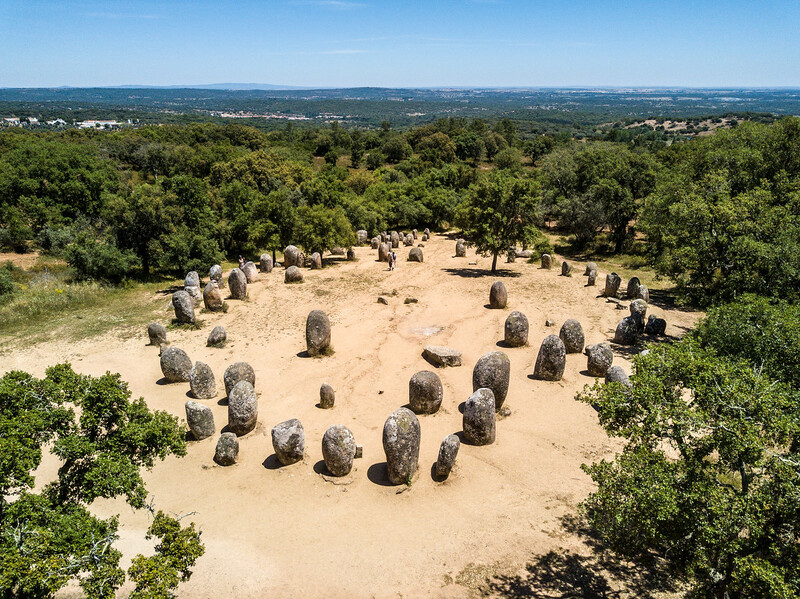 There are many megalithic sites close to Evora and even throughout the whole of central Alentejo. They are fascinating to visit. Some date back to 5500-4500 BC, yep, older than Stonehenge. The easiest way to find them is to drive yourself, but for those without a car, there are tours available. Check with your hotel or the Tourist Information Office for details. Less than an hour’s drive from Évora is the gorgeous old hilltop castle town of Montsaraz. 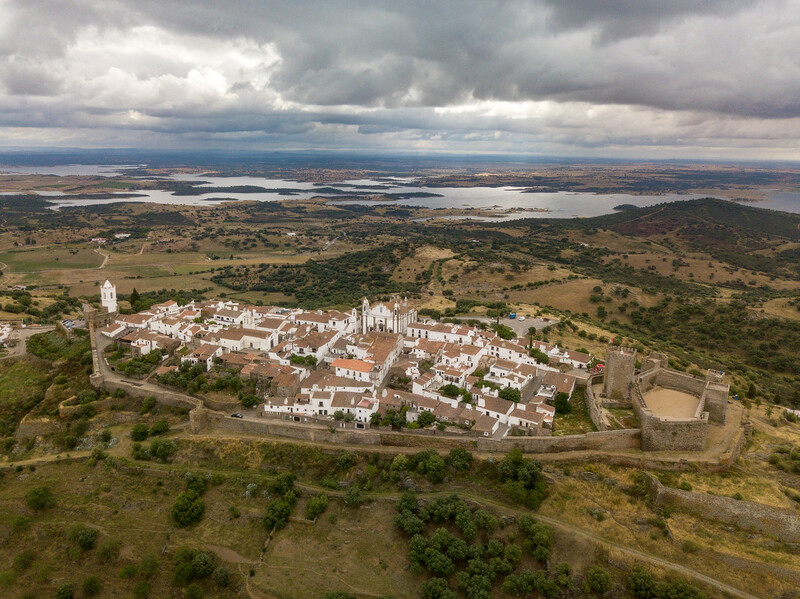 The view from the castle overlooks vineyards, Alentejo villages, lakes, and mountains. The area is stunning. It makes an excellent day trip from Evora or even as an overnight stop. Montsaraz is a great place to wander along the cobbled streets, climb the steps up the castle walls and just enjoy the scenery. Plenty of parking nearby. It is also possible to get to by bus from Evora.